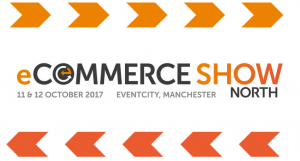 We're pleased to be able to reveal the four marketing speakers for the Keynote Theatre at eCommerce Show North, which takes place over October 11th and 12th 2017 at EventCity in Manchester. Across the two days, the Keynote Theatre will feature inspirational talks about all things ecommerce from high-profile brands such as AO.com, icelolly.com, Kelloggs, Royal Mail and Virgin Trains. The themes for the theatre will include 'Harnessing the Power of eCommerce', 'Logistics', 'Innovation and the Future of eCommerce' and 'Marketing'. 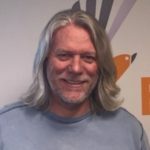 Norwegian Bjorn is a serial entrepreneur and has founded three successful internet software companies focused on driving profitable online revenues. Bjorn and his co-founder, Eric Maas, started Finch which focuses on doing one thing for their clients: creating profitable business growth. To accomplish this, Finch built a highly-scalable model where programmatic advertising takes centre stage. Headquartered in Salt Lake City, Finch is the 145th fastest growing private company in the US (Inc 500) and the #12th fastest growing software company. Formerly at publishing group Bonnier Corporation and personalised internet radio service Pandora, Ann now works as the Agency Development Manager at Google, based out of San Francisco. 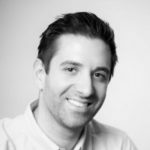 After spells at Arena Media and Marin Software, Simon has for the past two years led on small businesses for Microsoft Search Advertising. 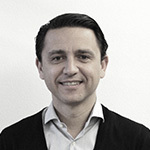 An entrepreneur and specialist in software and B2B services, Vincent worked as Sales VP on the international development of the first B2B marketplace, Hubwoo.com, before co-founding and managing ClearValue. He went on to found Next Performance, a world leader in retargeting solutions and artificial intelligence applied to online advertising, which was acquired by Rakuten Marketing last year. The latest big-name speakers add to a programme that already includes key industry experts from the likes of Rentalcars, AO, Prezzybox, Kellogg’s, Virgin Trains, Park Group, Missguided and Icelolly.